These are Ayala Center Cebu's Schedule fo Activities and Events for Sinulog Festival 2012 and the rest of January Activities. 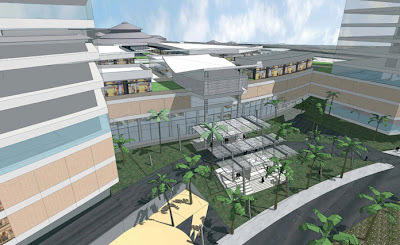 Ayala Center Cebu is currently having its 4-level Mall Expansion that will complete the circular design of the Ayala Center Cebu mall, which also serves as the centerpiece of the mixed-use development of Cebu Business Park and scheduled to be completed in 2013. Mall Hours Mall paseos, Ayala Center Cebu It’s a Festive-ALL Exhibit, a showcase of Sinulog attire/outfits and display of Cebu delicacies and souvenir items. Mall Hours Level 1 Paseo Marina, Ayala Center Cebu Balik Cebu Press Conference and Booth Unveiling on January 6 at 10:30 AM. Booths are open during mall hours until Jan 14 wherein tourists can get information, buy tickets for Suroy-suroy Sugbo, Sinulog Grand Stand, Balik Cebu Welcome Dinner and Pasiyo sa Kabilin Heritage Tour. Mall Hours Mall paseos, Ayala Center Cebu Sinulog Dancers Mall Parade, to drum up the beat of the upcoming Sinulog Festival. 6PM The Terraces, Ayala Center Cebu JP Morgan Pre-Sinulog Concert Party featuring Spongecola and Cebu’s top bands, CHA-ching and Pandora. 5PM The Terraces, Ayala Center Cebu Balik Cebu Dinner Party and Handumanan, the annual party for the Balikbayans who are here to celebrate Sinulog. 1 comments: on "Ayala Center Cebu Sinulog Activities and Events Schedules"
Hope to get back to Cebu this Sinulog!